It would be their first meeting since Trump's second summit with North Korean leader Kim Jong Un in Vietnam last month. 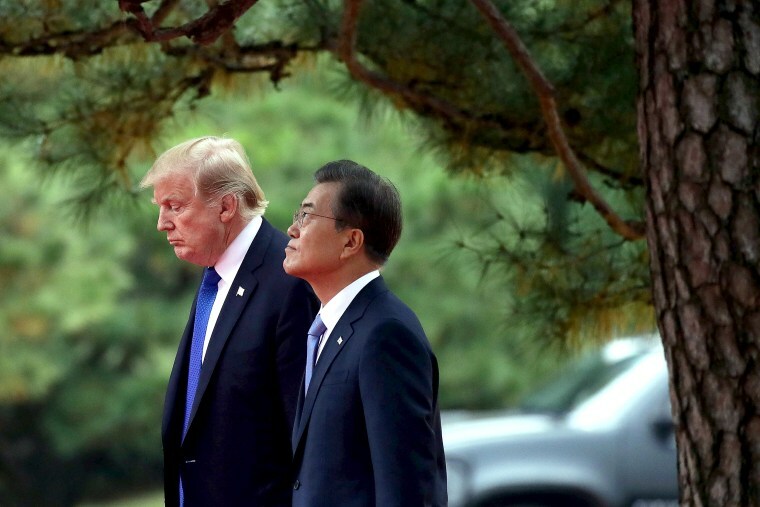 Their talks collapsed because of disputes on U.S.-led sanctions on the North, and North Korea recently threatened to quit the nuclear diplomacy. The White House and Moon's office said that Moon and his wife would visit the United States on April 10-11 and that Moon would meet with Trump at the White House to discuss developments on North Korea and bilateral issues. The two leaders will discuss how to strengthen their countries' alliance and achieve North Korea's complete denuclearization and peace on the Korean Peninsula, Yoon Do-han, a senior South Korean presidential official, said at a news conference. The White House said in a statement that the alliance between the United States and South Korea "remains the linchpin of peace and security on the Korean Peninsula and in the region." Earlier this month, North Korean Vice Foreign Minister Choe Son Hui said her country had no intention of compromising or continuing the nuclear talks unless the United States took steps commensurate with those the North had taken, such as its moratorium on missile launches and weapons tests, as well as changes its "political calculation." She said Kim would soon decide whether to continue the talks and the moratorium. North Korea later withdrew its entire staff at a liaison office with South Korea before sending some of them back to the office at the North Korean border town of Kaesong. North Korea hasn't provided any reason for its action. Some experts say North Korea still hopes to keep diplomacy with the United States alive.